MS-CEFB The MS-CEFB is an EMI (electromagnetic interference) filter designed to control conducted emissions on the AC and DC side of Magnum Energy’s MS-E and MS-PE Series inverters. It is used to ensure that stringent international standards for electromagnetic compatibility (EMC) are met. Hepa Filter is specifically designed to perform in adverse, demanding, critical and sensitive conditions. The hepa filter not only provides security, but offers the lowest total operating costs of any high efficiency filter available today. 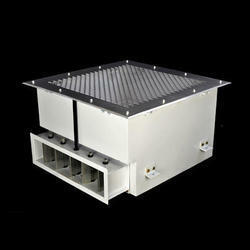 We are offering Terminal HEPA Filter Box. The Filter Box is the solution for small fryers and allows you to simply regenerate the oil overnight. Place the box in the basket, sprinkle in Magnesol® and allow it to work overnight. Remove the box along with the filtered residue – done. The instructions provide detailed information on the use and dosage of Magnesol®. Uses: Used as boxes for flange type EPA Filter. 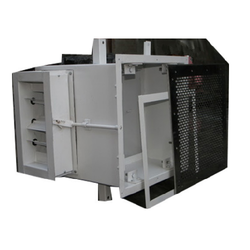 We are specialized in offering HEPA Filter Terminal Box. Being one of the renowned firms in the industry, we are decidedly involved in providing a high-quality array of HEPA Terminal Filter Box. Trijama Filterall (India) Pvt. Ltd.
We ensure the most advanced and reliable Terminal Filter Boxes which is largely provided to various official, commercial, corporate, industrial and other sectors. We provide easy and efficient methods to cater most consistent services for every brand. With our proficient team members, we are able to provide optimum services all across the nation.